Could floating bioplatforms help lakes that are suffering from eutrophication? As part of IISD’s Bioeconomy project, we have started background research on a study on eutrophic Lake 227 and oligotrophic Lake 114 comparing how cattails absorb nutrients. We have developed bioplatforms that contain cattails that float on the surface of the water. We have developed bioplatforms of cattails to float on the surface of the lake. We want to see if excess phosphorus in Lake 227 will enhance cattail nutrient uptake and potentially cattail growth. Research on floating wetlands continued in 2017 with new Floating Treatment Wetlands project. 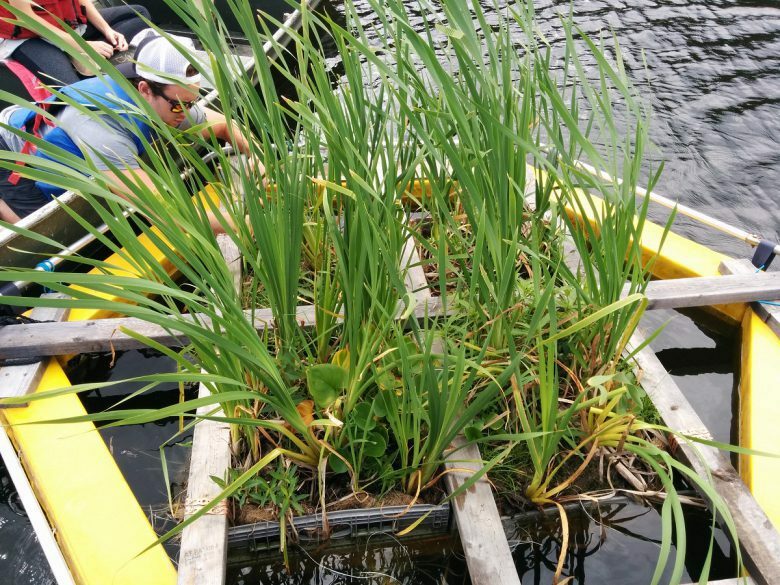 The objective is to deploy and establish new BioHaven floating wetland islands to continue the nutrient uptake research in Lake 227 and as part of the project in Lake 260 to look at plant and biofilm remediation of spilled oil. You can read more information about the floating bioplatforms project in this blog post. This research is led by Dr Richard Grosshans and is being done in collaboration with the University of Manitoba.